The Town Line Cemetery is a small cemetery located in rural farm country in Bridport, near Lake Champlain . At the intersection of Route 22A and Route 125, just north of Bridport Village , head west on Route 125 and travel 3.4 miles to its intersection with Basin Harbor Road . An old schoolhouse is located at the intersection. Turn right, headed north on Basin Harbor Road , and travel 1.3 miles to its intersection with Town Line Road . Turn right on Town Line Road and travel one-tenth of a mile. 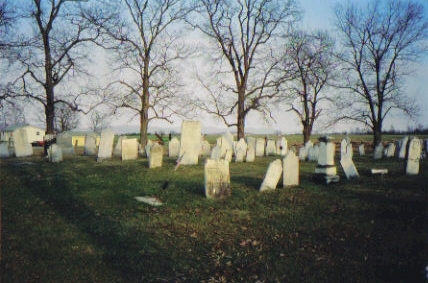 The Cemetery is located on the south side of Town Line Road . 21 D. B. 11 21 Vet ? 144 Joseph Julius 1803 3 15 1865 63 12 33 Vet ? 171 Pattison Murray 2 19 1812 3 6 1885 73 6 24 CW ? 250 Calvin Trask 1 1778 11 9 1875 93 5 5 Vet ?